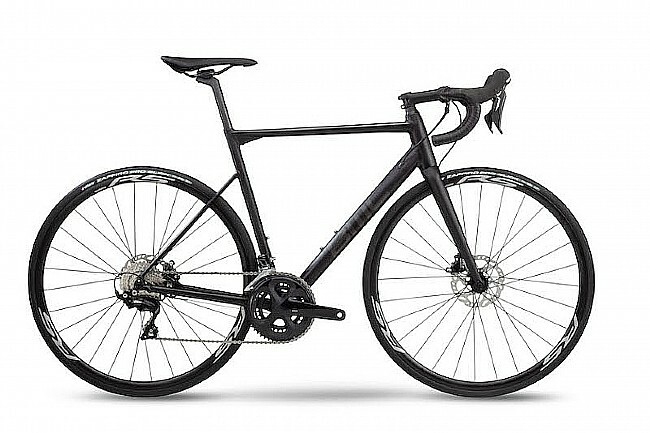 BMC's 2019 Teammachine ALR DISC ONE 105 Road Bike features a lightweight and stiff, finely engineered aluminium frame, a carbon fork and seatpost, a Shimano 105 drivetrain, and internal cable routing for a clrean understated look. Frame: Al-13 Premium Triple-butted, Hydroformed, Smoothweld Aluminium, TCC Race. Fork: SLR 02 Carbon Disc, TCC Race, Flat Mount. Brakeset: Shimano 105, SM-RT70 Rotors (160 /160). Handlebar: BMC RAB 03, ergo top shape, compact bend. Seatpost: Teammachine SLR02 "D" Carbon, 15mm offset. Hubs: Shimano RS-170, Thru Axle (12mm). Axles: 12x142mm thru-axle (front); 12x100mm thru-axle (rear). Tires: Vittoria Zaffiro Pro Slick, 25mm. Weight: 1250g (frame); 405g (fork); 195g (seatpost).